Radical liberals want to make America a better place, but their utopian social engineering leads, ironically, to greater human suffering. 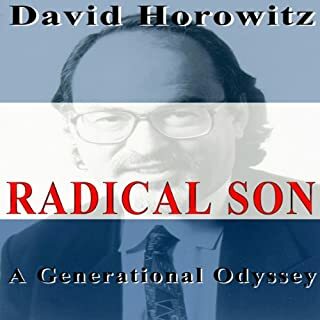 From Karl Marx to Barack Obama, Horowitz shows how the idealistic impulse to make the world a better place gives birth to the twin cultural pathologies of cynicism and nihilism and is the chief source of human suffering. 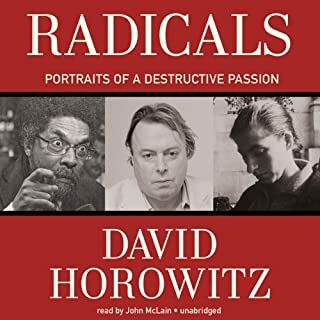 A former liberal himself, Horowitz recounts his own brushes with radicalism and offers unparalleled insight into the disjointed ideology of liberal elites through case studies of well-known radial leftists, including Christopher Hitchens, feminist Bettina Aptheker, leftist academic Cornel West, and others. 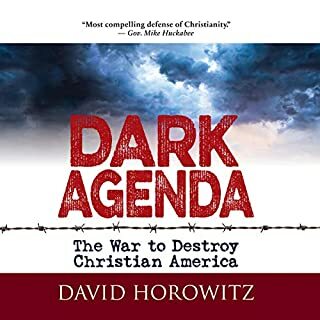 ©2004 Peter Collier; 2004 David Horowitz (P)2007 Blackstone Audio, Inc.
Chomsky taken roundly to the wood-shed on multiple fronts. Last chapter is particularly fantastic! I was appalled to see that the highlighted review showing when I purchased the book, was a negative review by an individual who started by saying that he only listened to the first 15 minutes of the book. 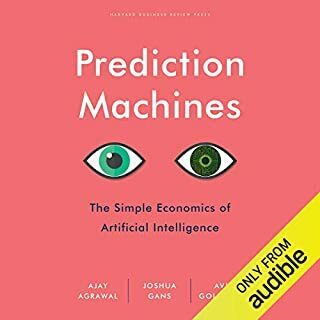 Audible, your bias is showing. Chomsky's tendency and inclination to support his wild opinions by describing things in terms that neither he nor I truly understand like quantum mechanics, etc, leave me with a strong taste of boloney when reading him however unable to formulate a true counter argument. 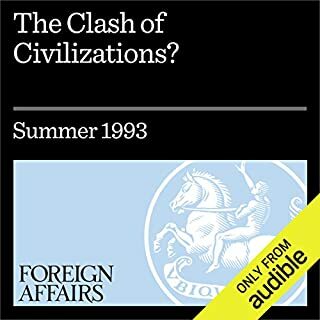 it has been a real pleasure to hear Chomsky decimated by specialists from the fields in which Chomsky pretends to have knowledge. My one lament is that like Chomsky himself, the facts will have no effect on the useful idiots who are his adoring fans. 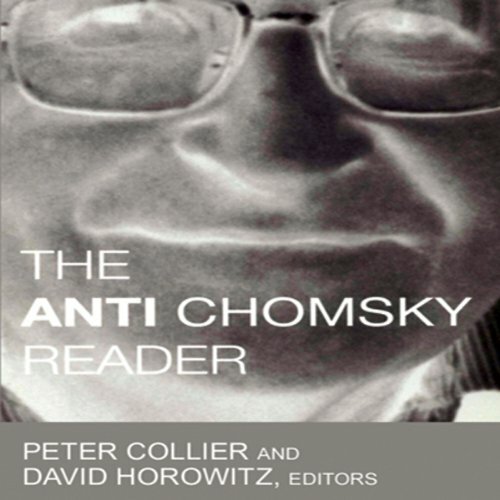 I thought I would get this ebook to listen to those who argue against Chomsky's views. I have read a lot of Chomsky's work and am familiar with some of the arguments he's been involved in. However, it is always important to consider other viewpoints and ideas, since one person cannot always be right. So, I wanted to go in with an open mind and consider alternate points of view, since I think that is important. I wish I hadn't bothered. I lasted 15 minutes before getting totally sick of the emotive drivel and shameful distortions that Collier has turned out. Yes, it is that bad. 1. He either does not understand Chomsky's arguments or has willingly distorted them since he constantly makes claims about what Chomsky's views are, but they are pretty much unrecognisable from what I had understood from Chomsky's work. 2. The writing is overflowing with emotive descriptions of Chomsky's alleged (in fact, just straw man arguments) views and behaviour. Chomsky is, we hear, "anti-American" (note to Collier: being critical of a country's foreign policy or power structures does not make someone 'anti-that-country'), and a wide range of other snide digs, that play the man rather than addressing the actual issues. 3. There is no attempt at balance. This is just a diatribe made by someone who clearly doesn't like Noam Chomsky and so will stoop to any level to denigrate him. There is clearly no interest in laying out a mature and sensible set of counter-arguments. Instead, it is playground squabbling from the start. The narration is ok, although there have already been some mispronunciations in the first few minutes. 1. 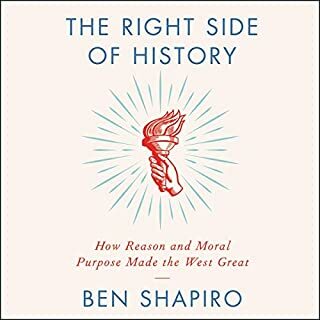 If you are limited in your faculties, and think far-right narratives like Fox are balanced and reasonable, then you might like this book. 2. If you have a brain in your head and understand the Earth isn't flat - then you really should stay clear of this by a country mile. I am glad Audible has a no-quibble returns policy. This rubbish is not worth paying for.